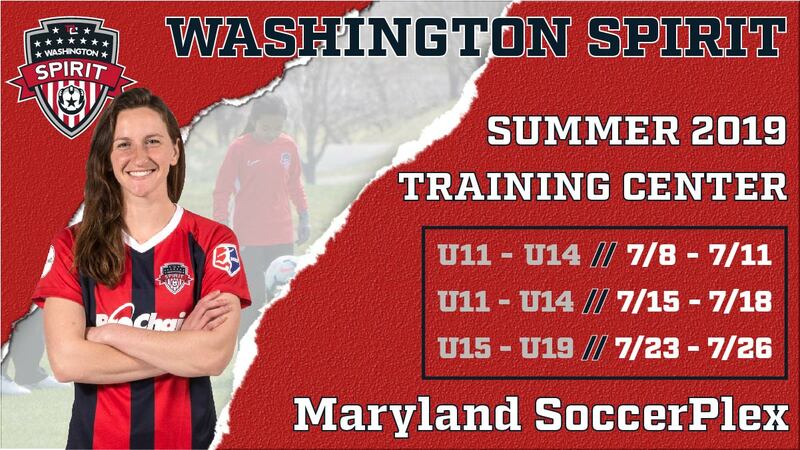 The program gives elite youth players the chance to train with a professional, NWSL level coaching staff, providing participants the tools and guidance to improve technically and tactically while experiencing what it takes to Train Like A Pro. The Spirit training program offers a professional environment with experienced player development coaches, allowing budding players to take steps towards becoming their best. In addition, youth players will attend the pro team’s training sessions as well as receive autographs from Spirit players. The $335 admission fee will include four days of training sessions as well as two sets of Spirit training shirts, shorts, and socks, a free Training Center ball, and a free ticket to a Spirit home match.